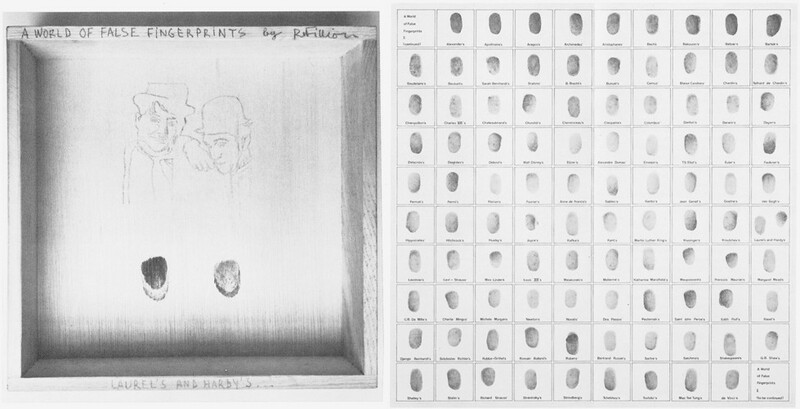 Wooden boxes in which Robert Filliou drew portraits of significant personalities and added each time his own fingerprint. A certificate belongs to each box which documents at the same time the whole of the project. Pencil on wood, offset, inscribed.